I became interested in picking locks in the Summer of '05. After reading some documents online like The MIT Guide to Lockpicking, I decided to give it a go. After purchasing a Master #140 to practice on, I started looking around for materials to make tools from. 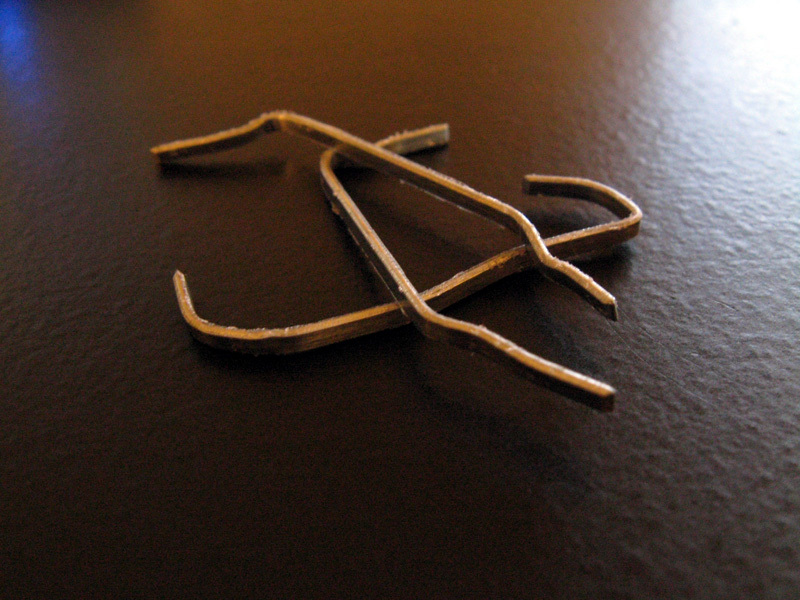 I found some packing staples, grinded them on some concrete, and bent them in a vise. What resulted was a crude hook pick and tension wrench. It took 4 hours of straight picking the first time that 140 opened. But when it did, it was fantastic. This was where my journey began. In this area of the site, you should expect to find information, breakdowns, and tips about various locks. Also picking tools will be explained, reviewed, and demonstrated (commercial, homemade, and experimental). I'd also like to put together some tutorials and guides. Only time will tell, but expect this part of the site to grow fairly rapidly. Lockpicking has a large amount of stigma attached to it. The general population's perception is that if someone is learning to pick locks, they must be up to no good. This is simply a falsehood. I am part of a large group of people who's common ground is that we enjoy opening locks without the key. 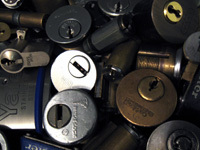 The community goes by several names including "Locksport", "Hobby picking", and "Sport picking". The main hub for US locksport is Lockpicking101.com. We follow a strict code of ethics and morality that can be summed up as follows: Never picks locks that you do not own or do not have expressed permission to pick. What this means is that unless someone directly tells us "yes", we do not make picking attempts on their locks. This is relatively rare and typically only happens if someone is experiencing a lockout and asks for our help. The vast majority of the locks we open are purchased and owned by us. We also typically do not pick locks in use. This means that we do not practice on our front door, etc.. Although this point is usually explained to newbies as an ethics point (though many people do not actually own their front door locks), its really a just a very good tip. 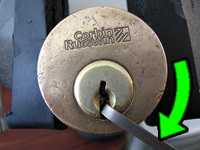 Picking an in-use lock could result in mechanical failure/damage. If this happens, you have a potential lockout, safety issue (for example: fire), and a headache. Back to ethics: We do NOT commit crimes or steal things. I have no interest in your personal property, nor do I personally care how pickable your car door is. We do not break into things in order to "teach people a lesson". Everytime we hear about picking or bypass being used to commit crimes (though rare), the locksport community cringes. If someone with ill-intent is discovered among us, they are usually kicked out of the community. I am not a lawyer so you shouldn't accept anything written here as absolute fact; all I can offer is my observations. Picking is generally thought of as illegal and in cases where its used to commit crimes it is. The real question is: Is picking locks illegal when its not used to facilitate another crime? In every case I can think of, the answer is no. 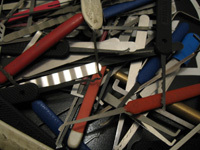 However, another question still remains: Is possessing lock picking tools illegal? Now we're getting somewhere! There is not a straight-forward answer to this question. It entirely depends on where you live (state level in the US). Almost all of the states' lawbooks basically say "If you don't have intent to commit a crime, you're all good". I recommend doing some googling to find your state's applicable laws. It should be noted, however, that just because something is legal, that does not mean that your local police, etc.. are aware of this. Be smart about where you choose to practice and think before pulling your tools and a practice lock out. That said, I've been picking at Starbucks and local bars for about 2 years now and I haven't run into problems (despite Virginia's slightly stricter law). This section deals with the locks themselves. Expect to find nice breakdowns of interesting mechanisms and observations about them. The majority if this page is a listing with images and text about my favorite picked locks. Here is one that examines various tools that are used in picking or otherwise manipulating locks. Think of it as a series of mini-reviews. The techniques page is quite new and not as strong as the others yet. It is here that you will find various how-to articles about locks and picking.